The Department of Political Science invites you to a public lecture with Tasha Fairfield, Assistant Professor of International Development, London School of Economics and Political Science and fellow at the Center for Advanced Study in the Behavioral Sciences at Stanford University. Tasha Fairfield is Assistant Professor at the London School of Economics and a 2017-18 Mellon Foundation Fellow at the Center for Advanced Study in Behavioral Sciences (CASBS) at Stanford University. She holds a Ph.D. in political science from the University of California, Berkeley. Her research on comparative political economy and inequality has been supported by the Social Science Research Council, Fulbright-Hays, and the International Centre for Tax and Development. 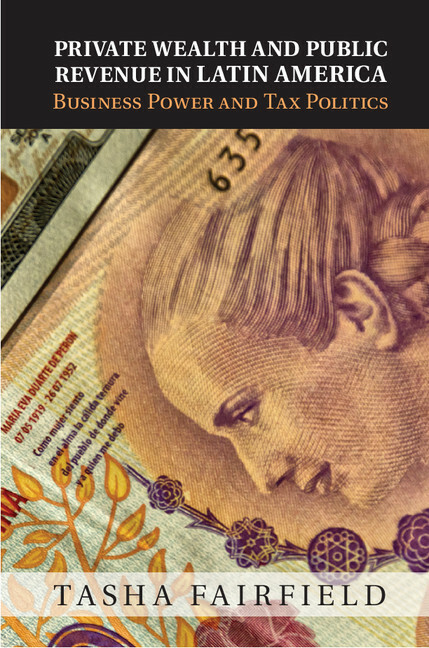 Her book, Private Wealth and Public Revenue: Business Power and Tax Politics in Latin America (CUP 2015) won the Latin American Studies Association 2016 Donna Lee Van Cott Award, and her article “Explicit Bayesian Analysis for Process Tracing” (Political Analysis 2017, with Andrew Charman), won APSA’s QMMR section Sage Best Paper Award in 2017. She is currently working on a book project (with Andrew Charman), Social Inquiry and Bayesian Inference: Rethinking Qualitative Research. Sponsored by the Department of Political Science, the Foster Political Science Speaker Series Fund, and the Wayne Morse Center’s Program on Democratic Engagement and Governance. Co-sponsored by Latin American Studies, International Studies, the Department of Management, and Romance Languages.